A practical approach to v-cutting lettering and decorative motifs into wood. This course is led by award winning lettering sculptor Gary Breeze. This practical short course will suit any level of experience although some drawing skills would be very useful. A structured start is followed by guided independent practise. A simple approach to v-cutting letters will quickly lead to the creation of your ﬁrst project, building conﬁdence in both drawing and carving. Through group demonstration and individual tuition a more complex decorative motif will be tackled as over the weekend you are encouraged to develop your own piece of work. 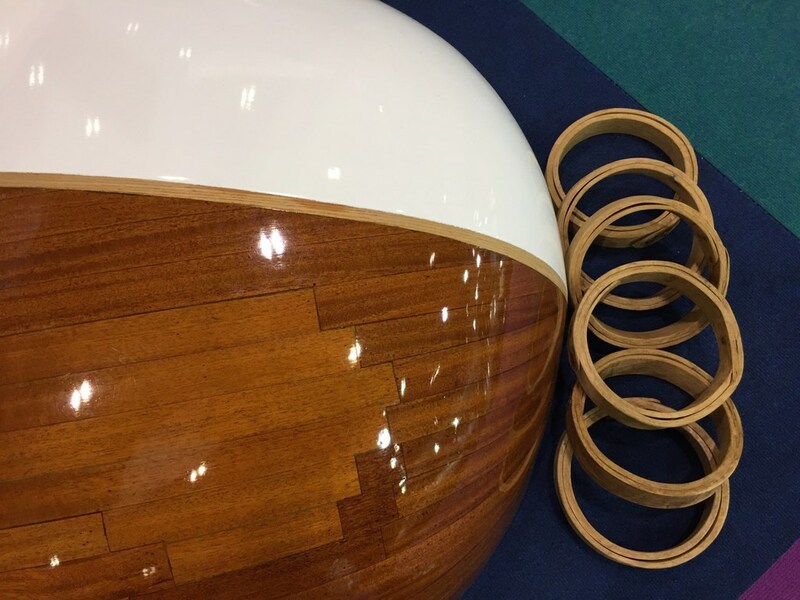 More experienced woodworkers may like to bring timber and ideas along from their own projects. A helpful approach to sharpening chisels will also make this course invaluable to anyone considering any form of decorative carving. The course fee includes materials for the beginners’ project and a light lunch on Saturday and Sunday. Students are encouraged to bring any tools they may have and to prepare for the course by considering words, SHORT phrases or quotations to incorporate into their work. Gary Breeze is recognised as one of the leading craftspeople in his ﬁeld. For over 25 years he has won numerous public commissions, from the lettering on the Princess of Wales’ memorial to Richard III’s tomb. 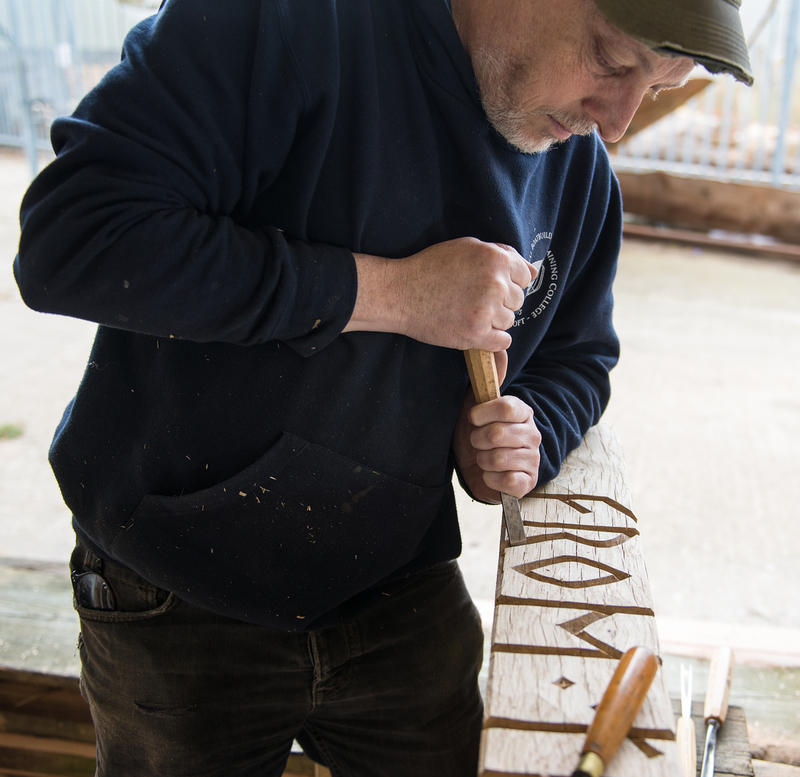 Gary has a broad approach to design, tackling everything from coins for the Royal Mint to landscapes, and was awarded a second RHS Chelsea Flower Show Gold medal for his evocation of a medieval Broadland boatyard sponsored and built by students and staff of the IBTC in 2017. Today’s boat builder needs a wide variety of skills. You must understand the proper use of wood and G.R.P. 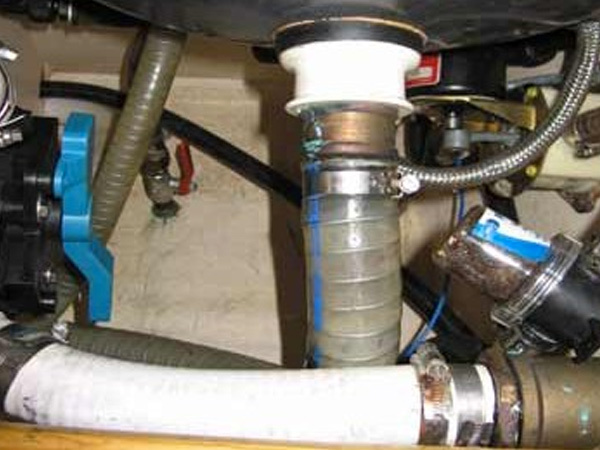 (glass reinforced plastics), and must have an understanding of how engines, plumbing and electrics systems are installed. You must know how to cost your work. You must be aware of new technology and yet be able to repair or restore boats built fifty years ago or more. Being able to build a boat beautifully is not enough. It may give tremendous self-satisfaction, however, at the end of the day, it must also lead to being able to provide reasonably comfortably for yourself and your family. 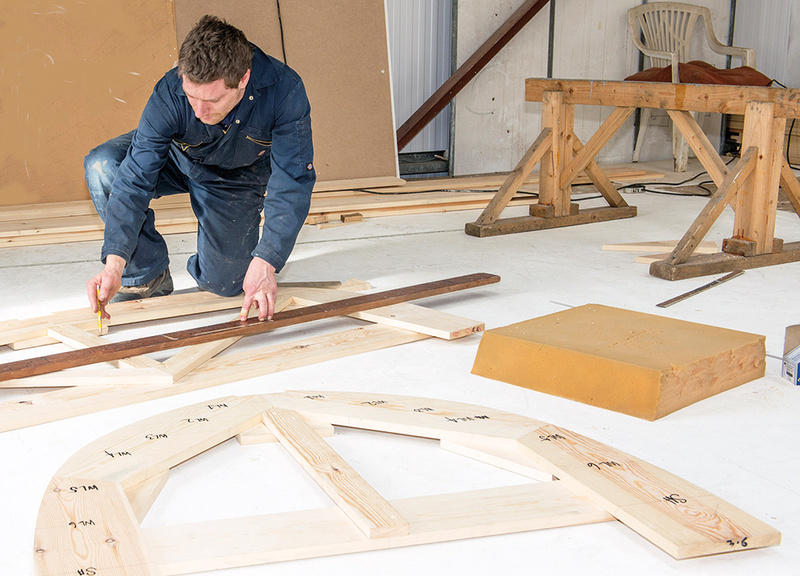 It is for this reason that the IBTC, uniquely, ensures that its instructors are not only expert in their professions but also have real world proven, successful, experience in the boatbuilding business. The IBTC Concept of Training Experience has shown that training opportunities limited to just two or three boats is totally insufficient – which is why the IBTC always has a wide variety of boats, both large and small, at different stages of construction at any one time. This ensures that there is always a boat available and at a stage which will enable trainees to build skills in a truly systematic and properly structured way. You do not have to wait for a boat to reach a certain stage of construction before you are able to move on, and you are always able to continue to the next stage of learning once you have satisfactorily completed each exercise. It is a very important concept of IBTC training that the boats built, repaired or restored as training exercises are only worked on whenever they present the opportunity for appropriately timed exercises for students. High standards of accuracy and finish are set from the start of each course. Our concept of training enables our students to cover and learn the wide range of skills in our training programme in the shortest time possible. It ensures, too, that by the end of their course, you will have the ability and confidence to build, repair or restore a boat. Almost all learning is through practical exercises, (learning by doing), with the essential knowledge element fed in by instructors at the relevant moment. This huge amount of practical experience is one of the many reasons why IBTC students remain head and shoulders above others.